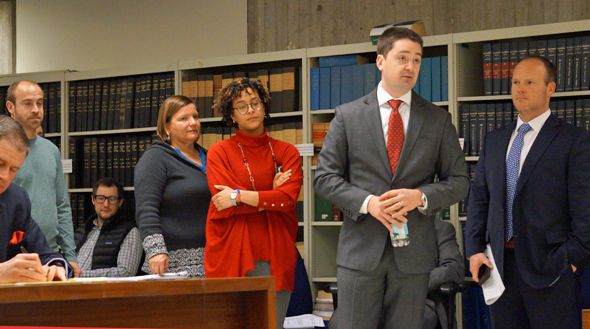 The Zoning Board of Appeals last week approved plans by Wallpaper City on Poplar Street to add two floors with a total of eight apartments. Read more. Susan Vittorini posted the sign this morning: After 50 years, Diane's on Poplar Street will be closing for good on June 8. Read more. A man reports being robbed of his wallet on Poplar Street near Heathcote Street around midnight. Read more. Boston firefighters responded shortly after 8 p.m. to 67 Poplar St. (the building PS Gourmet is in), John Duffill reports. Firefighters knocked the fire down fairly quickly; investigators are now looking to determine the cause. For the second time this month, a community meeting on a proposed Roslindale development that would be small by South Boston or Forest Hills standards raised fears that Roslindale is about to be rushed by developers who will try to completely overwhelm the neighborhood with projects far denser than allowed under a rezoning plan worked out by residents and the city only a few years ago. Read more. 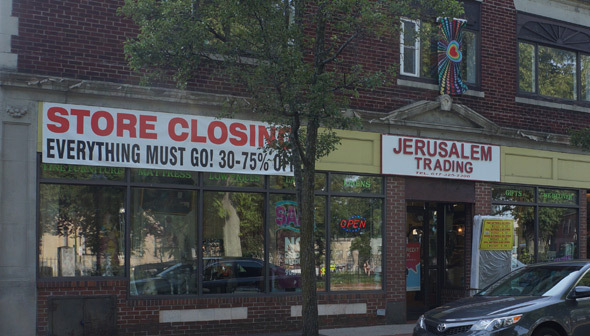 There's a new store-closing sign on the front of Jersusalem Trading on Poplar Street, which was the square's only source for beds and unusual living-room accoutrements. Anybody know what's taking its place? 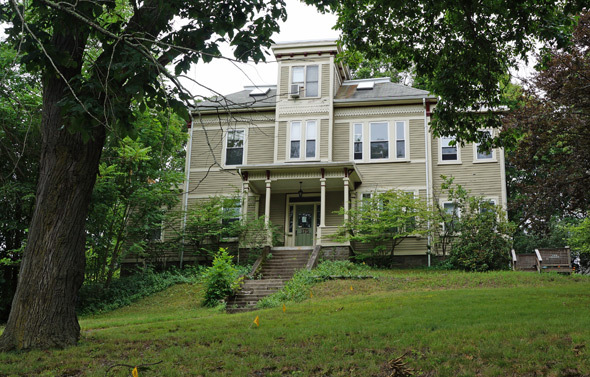 Residents living near the house on a hill at Poplar Street and Augustus Avenue plan to seek city landmark status to keep it from being torn down. Read more. Effie's Kitchen on Poplar Street, where Wapo Taco used to be, opened this weekend as the first Greek restaurant in Boston's most heavily Greek neighborhood. Read more. Workers have been busy lately getting the old Wapo Taco on Poplar Street and the former Bel Lounge on Washington Street for new tenants. The new sign for Eftimia Meletlides's Effie's Kitchen went up this week above the former Wapo Taco, which closed in June after its landlord doubled its rent. Read more. Wapo Taco on Poplar Street will close its doors forever on June 27. In a Facebook post tonight, owners Dianne and Lorenzo write: Read more. 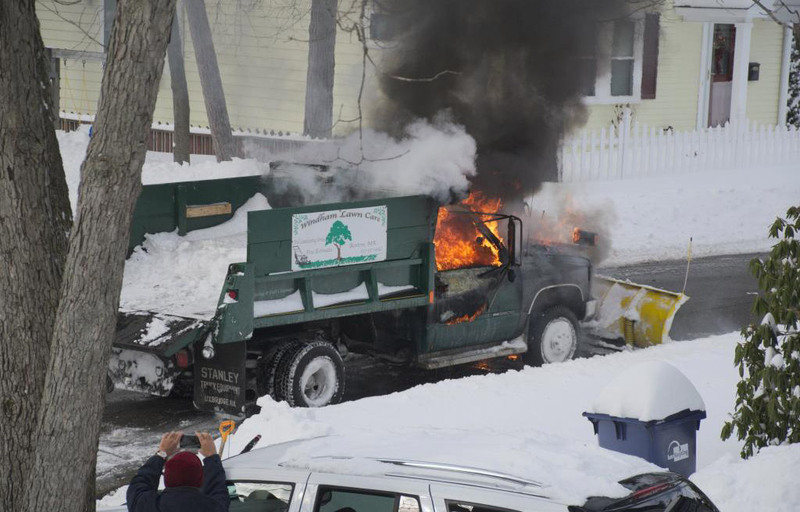 Franklin Einspruch reports his neighbor's snow removal didn't go too well this morning, at Metropolitan Avenue near Poplar in Roslindale.